Is there anything better than a fine pair of heels? That might be a tad overstating it, but you cannot deny the appeal of great shoes. For brides to be, who have already had picked their dress, the bridal heels come next. You won’t believe us, but heels are considered the most important accessory for the brides. Your heels have to compliment your entire bridal look and in fact, it should add the finishing touches to your big day ensemble. Invest in a good and comfortable pair of heels because you definitely don’t want to hurt your feet, or slip on your big day. If you are still looking for the perfect pair of heels for your dream day, then Sophia Webster offers the most beautiful bridal collection that would make you fall in love. Each and every pair is designed with love and it is pretty obvious from the details on the heels. 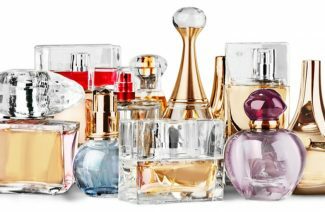 From metallic to blush pink, you can find any color you are looking for your big day or for your trousseau as well. We have picked some of our favorite Sophia Webster heels for you. This multi straps, gold pair with gems on it is a must-have, can go with any dress you pick. Ice blue is a hit and happening color which has been ruling the trending charts. 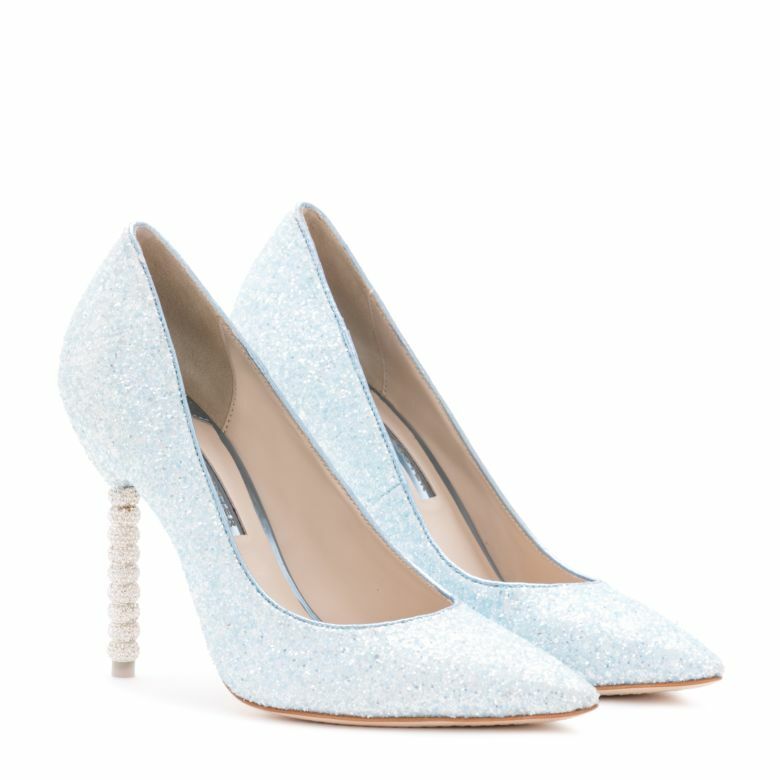 This classic ice blue satin pump with crystal beads will surely turn many heads. Amazingly, sole also says “wifey for lifey”. Grab this pair right away. 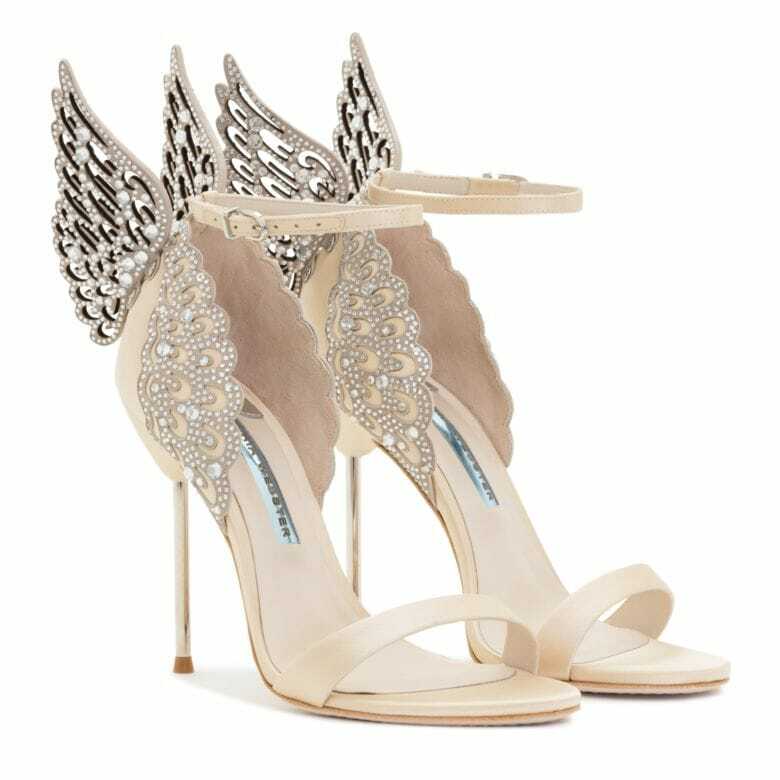 The dazzling laser cut Angel Wing detail is what makes this pair unique. Go for the color you like the best. These elegant rose gold leather mules with charming crystal beaded heel is every woman’s dream to own. Slingback heels and also in red color has got no competition. 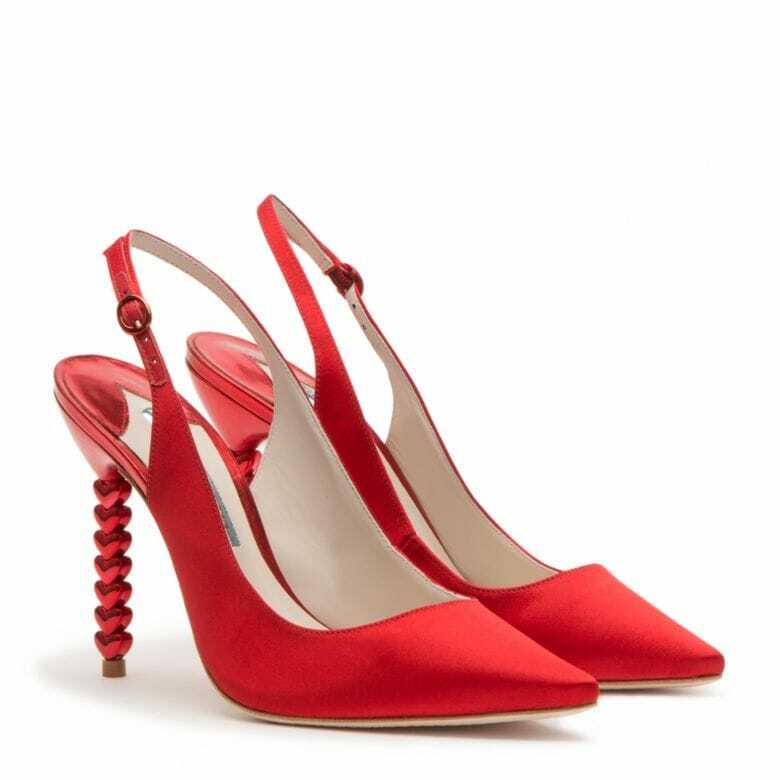 The pair personifies class of its own with heart-shaped beaded pointed toe heels. This splendid dark raspberry satin sandal with crystal heels will bring out the class. The signature Sophia Webster design and style makes this rose gold two strap sparkly sandals a standout. 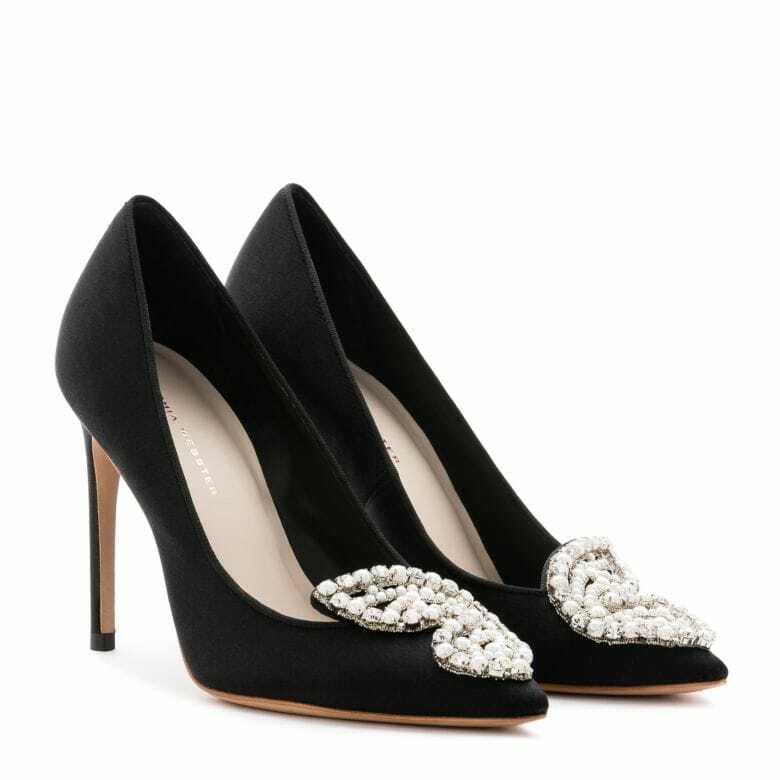 Your bridal trousseau is incomplete without this black sparkly heels. A need of every wardrobe. This magical pair with beautiful embroidered details and beaded heel will give you Cinderella feels. Stunning gold shiny leather sandal with an embroidered ornamental detail is all you need to finish your bridal look. This glittering silver heels with a crystal bejeweled velvet ankle strap and white pom-poms will make any dress looks good. The embellished butterfly detail on this sleek black satin pump is something straight from a dream. This pair of heels will beautifully complement any dress you choose to wear on your post-wedding dinners or even a dinner date with your new hubby. The white heels with metallic straps are for all the diva brides. This statement pair has won our hearts. Go pick yours before it gets out of stock. 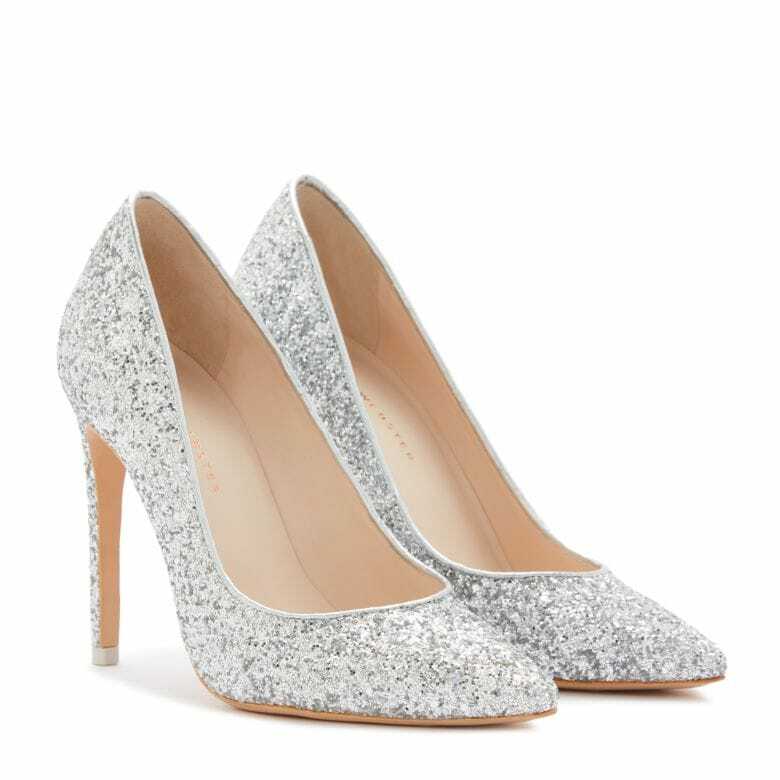 Make a statement in these silver glinting jaw-dropping pumps. What are you waiting for? Go grab your favorite pair of heels from Sophia Webster. You will also find many pairs on sale as well. For brides to be, who have already had picked their dress, the bridal heels come next. 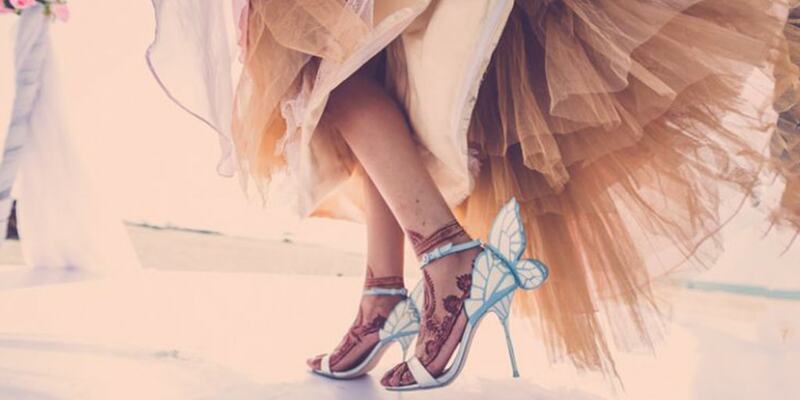 The Most Delightful Bridal Heels by Sophia Webster.